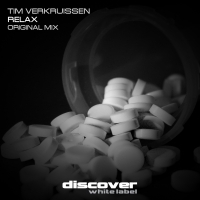 Tim Verkruissen debuts on the label with a four to the floor stormer. Relax launches into action from the start with a combination of driving stabs, acid and a full on bottom end. By the time it reaches the break the trance drops in to perfection in epic style before it leaps back in with full on menace. Proper tech trance - just how we like it!! 'Relax' is available now from Beatport and iTunes.